School signs are important for students, parents, and faculty members alike. They remind everyone about upcoming breaks, events, and test schedules and send a warm welcome as students return for a new school year. That’s why it’s especially important for the sign to make sense and be free of spelling errors. The school is supposed to be educating the children, after all! Of course, this doesn’t always happen, and the outcomes can be a little bit embarrassing…and hilarious. Take a look at these school signs that all have some serious problems and were hopefully changed sooner rather than later. Should you be working at a school if you don’t know how to spell “parent”? Uh oh, whoever put this message up made a glaring spelling mistake. 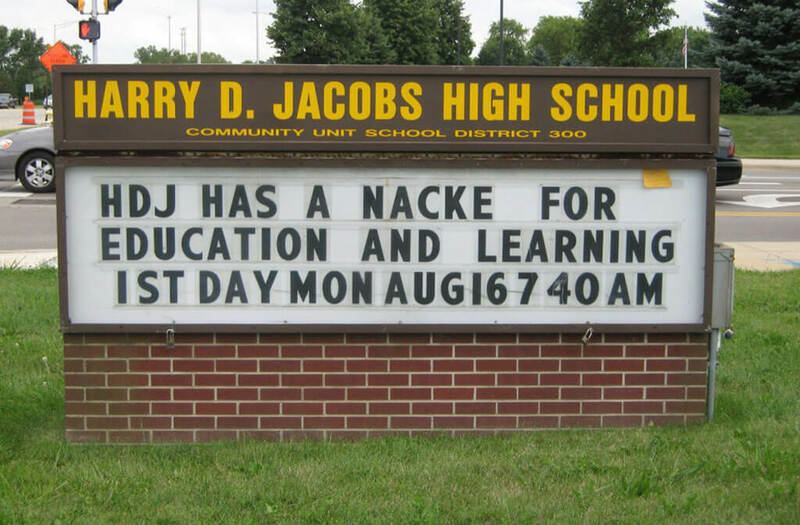 The word “knack” might not be the easiest to spell, but if you’re going to brag about something on a sign, the first step is spelling it right! We hope they realized their mistake soon.